The Turkish Model: Can It Be Replicated? As a number of Arab states go through dramatic transitions, many are looking to Turkey as an example of a modern, moderate Islamic country that has a working democracy. But it's not clear whether Turkey's successes can be duplicated elsewhere. It's not clear how seismic changes in the region will play out; so far, the results have been mixed. The Turkish Model: Can It Be Replicated? In the Arab states that have ousted dictators and begun building new political and economic systems, many are looking to Turkey as an example of a modern, moderate Muslim state that works. Perhaps no country has seen its image in the Arab world soar as quickly as Turkey, a secular state that's run by a party with roots in political Islam. As part of our series on the Arab Spring and where it stands today, NPR's Peter Kenyon examines whether the "Turkish model" can be exported. As Tunisians held an election in October, merchant Mohammed Bengerbal paused in front of his shop in the capital, Tunis, to ponder a question: Now that Tunisia's dictator is gone, what kind of government does he really want? "We want Tunisia to become a modern country, not extremist," he says. "A place like Turkey. People work hard there and also practice Islam. They are modest and modern at the same time." If there was one way for me to define what makes Turkey unique compared to all of its Muslim neighbors to the south and east, it's what I call the 'Turkish miracle' — and it's not a political miracle, it's an economic miracle. As secular, despotic regimes tumbled in Tunisia, Egypt and Libya, the iron fist that had been throttling opposition parties was no longer there. Suddenly north Africans are looking to political Islam not to fight off a dictatorial regime, but to guide them toward a better future. And when they look around to see where that has actually been achieved, they find Turkey, with its ruling Justice and Development Party, known as the AKP, and its deeply religious Sunni Muslim prime minister, Recep Tayyip Erdogan. Erdogan recently toured the revolutionary Arab states, and during a visit to Egypt he was mobbed by adoring crowds, packed with supporters of Egypt's rising political power, the Muslim Brotherhood. 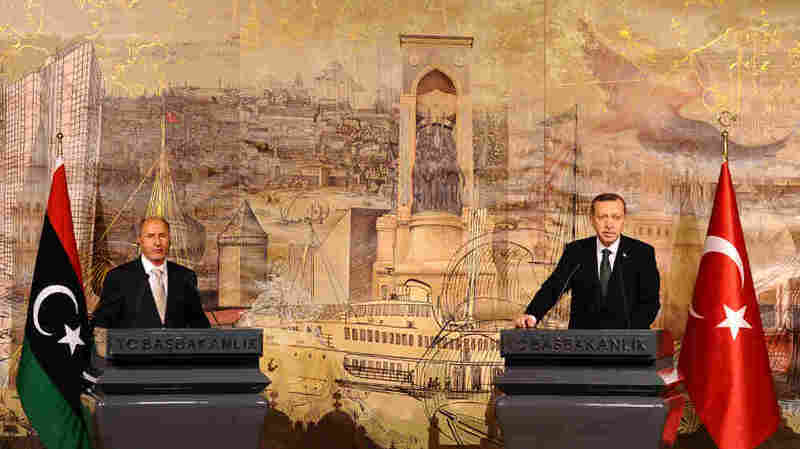 The adulation was interrupted, however, when the Turkish leader went on television to tell Egyptians they shouldn't be afraid of secular government. That was a notion that didn't sit well in a culture where for many people "secular" translates as atheist or anti-faith. Turkey analyst Soner Cagaptay, with the Washington Institute for Near East Policy, says it must have been a surprise for Erdogan, who's accustomed to being seen as the conservative in the room at home. "He was given a hero's welcome, and then the next day he goes out to them, he says, 'Oh, by the way, you gotta be secular too,' " Cagaptay said. "And I think this shows to you that the Turkish model in some ways is perhaps not so directly transferable." Many Arabs admire Turkey as an Islamic state with a modern economy and a democratic political system. Here, Turks break their fast during the Muslim holy month of Ramadan on a bridge in Istanbul in August. But on one crucial level, Turkey has a far more powerful and fundamental appeal, says Cagaptay — it's a Muslim country that works, with a large and growing middle class. "If there was one way for me to define what makes Turkey unique compared to all of its Muslim neighbors to the south and east, it's what I call the 'Turkish miracle' — and it's not a political miracle, it's an economic miracle," he says. Except for a brief downturn during the recession of 2008, Turkey under Erdogan has grown at a robust clip for most of the past decade. And crucially, large numbers of ordinary Turks in the broad Anatolian heartland have moved up into the middle class. Erdogan's top foreign policy adviser, Ersat Hurmuzlu, says people around the Middle East are demanding not just the right to choose their own leaders, but the right to a better future. "People are seeing the success on the economic side in Turkey," he says. "And they are questioning themselves: If Turkey has conducted this, why we cannot do that? So this is a normal question, and we urge the people to ask this question themselves," he says. Turkish writer and analyst Mustafa Akyol says the Arab Spring had many causes, but it's useful to focus on a question that has dogged the region for centuries: Why has the Muslim world lagged so far behind the West? Part 3: Syria — A Looming Civil War? Akyol says the answer often heard in recent decades, pushed by hard-line Islamists, was that Muslims weren't being pious enough — they had to grow even more conservative. "Well, the AKP in Turkey, the Justice and Development Party, gave a different answer to this question. They said, well, 'We lagged behind because we did not work enough.' And they remained pious, but they also did what everybody does in the world when you want to build a better economy. So I think this is something now realized by the more reasonable actors in the Middle East economy as well," he says. If you want to see Turkey's economic miracle in action — and get a taste of how it could be threatened by regional changes — the southeastern city of Gaziantep, near the Syrian border, is a good place to start. The production lines are clanking away at this factory owned by the Naksan Holding Group. These aren't high-end luxury goods, but company officials say Naksan is one of the top three producers of plastic packaging in Europe, and in the top 10 worldwide. Business is booming: From a few hundred workers at its start, Naksan now employs some 4,000 people. As the taxi drivers here like to boast, with only slight exaggeration, in Gaziantep everybody works. In recent years, the city enjoyed thriving relations with northern Syria, especially in the city of Aleppo. Those relations took years to build, but crashed very rapidly last year as Erdogan became one of the most vocal critics of Syria's bloody crackdown on dissent. Taner Nakiboglu, a Naksan board member, is bullish on Turkey's prospects, but he doesn't like to see good business go bad because of politics. "Aleppo is very close, only 80 miles. So, they were coming here, we were going there — this is now stopped," he says. "Normally, technically you can go, they can come without visa, but because of security reasons nobody wants to go." In another corner of the city sits a stark reminder of how Arab Spring politics have changed Turkey's foreign policy. The Syrian Consulate — the only foreign consulate outside Istanbul or Ankara — is dark and empty. The sign next to the padlocked door reads, "Closed Until Further Notice." Among activists seeking to overthrow Arab dictators, this is a tangible sign that Turkey has finally come down on the side of the people despite its longstanding economic ties to autocratic regimes. At a recent forum here on the Arab Spring, Turks were the first to admit that their model is still a work in progress. As one speaker put it, "If you copy us, please don't copy our record on minority rights" — a reference to longstanding suffering by Kurds, Alawites and others. Another noted the scores of journalists in Turkish jails and chimed in, "and don't follow our lead on freedom of the press, either." Professor Ibrahim Ghanem, an Egyptian who teaches in Dubai, says many Arabs are now taking a closer, more skeptical look at the Turkish model. "What is the meaning of 'Turkish model'? Do you mean in dealing with minorities like Alawites and Kurds? Do you mean the Turkish model in terms of the vital role of the army in the political life? So, it is a vague argument when you talk about Turkish model," he says. 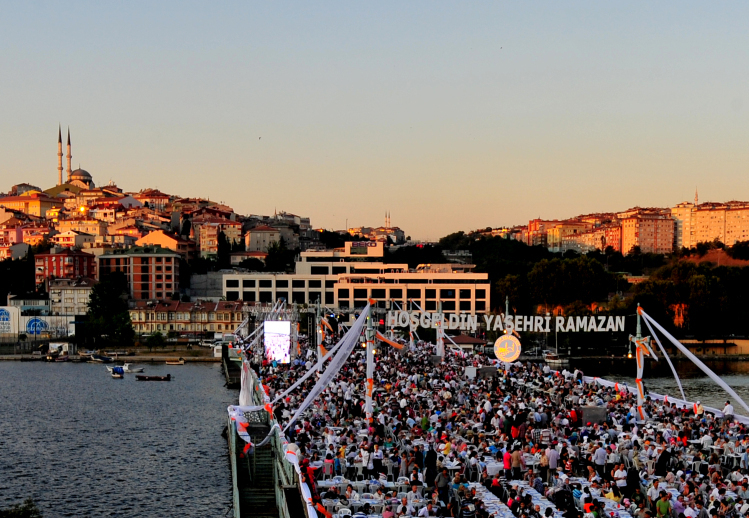 But for all its flaws, Turkey today presents the clearest example of a modern and moderate Muslim country. And as it sets about trying to rewrite its constitution, analyst Sabiha Gundogar at Sabanci University says Arab Spring countries can see Turkey, for all its economic success, still struggling to improve its democracy. "Why Turkey is so relevant to the region is that democracy is still in the making also in Turkey, as well. So, I mean, that's also another aspect that makes Turkey very relevant to other countries that are also remaking themselves," she says.